New York, 29 May 2015 – Eighteen months ago, Bentiu, like most towns in South Sudan, was bustling with the restlessness of markets, people trading and children going to school. UNMISS, the UN Mission in South Sudan, was busy supporting development and growth in the world’s youngest nation. Today, a visitor to the UN Mission’s base outside Bentiu in Unity State, would see a sea of blue and white tarpaulin tents and hastily-erected stalls. The base has become temporary home to some 63,000 civilians seeking protection from the cataclysm of violence that has gripped the new state of South Sudan since the outbreak of the political crisis in December 2013. The town of Bentiu itself remains deserted, its main dirt road lined with the grim evidence of an ongoing war in the absence of a final peace agreement between Government and Opposition forces. The story is repeated across the country. Today, more than 130,000 are being protected by UN peacekeepers in seven bases, with civilians continuing to arrive at UN protection sites as they flee unimaginable suffering and grave human rights violations. The reality is that our peacekeepers are often the only hope for a better life for the civilians they are mandated to serve. In other places where peacekeeping missions are deployed today, there is little peace to keep. In some of the harshest conditions on Earth, UN personnel must negotiate complex threats each day amidst political instability, with large, often terrified populations to protect. They work to provide security in these places, while pursuing a political solution to ongoing conflict. This is the case in Mali, where peacekeepers strive to bring stability while bearing the brunt of violent attacks from armed groups. Since the establishment of the United Nations Multidimensional Integrated Stabilization Mission in Mali in July 2013, 36 peacekeepers have been killed and more than 170 others have been wounded in hostile incidents alone. It is also the case in the Central African Republic, where we are seeing encouraging signs following the 2013 breakdown in law and order and widespread ethnically motivated violence. Here, 10,000 UN troops, police and civilians are on the ground, supporting efforts to bring the country back on to the path of peace, good governance and stability. Earlier in May, the country adopted a peace pact that reflects the people of the Central African Republic’s aspirations to put the conflict behind them once and for all. Our peacekeepers battle inhospitable terrain and an almost complete lack of infrastructure every day to react quickly to flare-ups of violence which, if left unchecked, could threaten this fragile peace. This year’s International Day of United Nations Peacekeepers, 29 May, falls during the significant seventieth anniversary of the United Nations. Over the course of nearly seven decades, UN peacekeeping has proven itself to be a legitimate, reliable and effective means of protecting civilians and facilitating the transition from conflict to peace. In countries like Liberia, Timor-Leste and Bosnia Herzegovina, peacekeeping has played a critical role in helping stabilise countries as they seek to rebuild. Today, more than 125,000 military, police and civilian staff carry on this work in 16 peacekeeping operations world-wide, our largest deployment in history, serving as a testament to the international community’s faith in peacekeeping as a tool for bringing peace and security. But, for UN peacekeeping to continue responding effectively and robustly to the conflicts of today and tomorrow, it needs a strengthened international partnership and the willingness of all to share the burden and risk. In environments where peacekeepers are directly targeted, where widespread violence is ongoing, or where thousands of civilians need protection from unthinkable acts of violence, peacekeeping operations must remain fit for purpose. Our missions require well-trained and skilled troops from a broad array of countries. When crises erupt, they must be ready to deploy more quickly to where they are most needed. And to confront the unique challenges of this century, peacekeepers require the tools and capabilities of this century. In the Democratic Republic of the Congo, unarmed unmanned aerial vehicles are being used to improve situational awareness, serve as a deterrent to armed groups and improve mandate delivery and the safety and security of our personnel. In Mali, an innovative Information Fusion Cell is improving the information-gathering efforts of the peacekeeping mission as it confronts determined non-state actors and armed groups. As we honour the 126 peacekeepers that died in 2014, these tools help our Blue Helmets to better protect themselves and vulnerable populations. 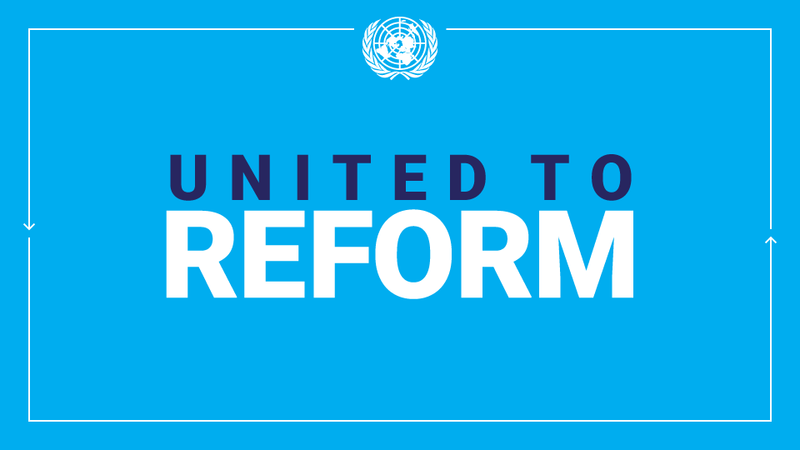 A renewed engagement of all Member States of the United Nations is critical. This process has already begun and will receive a major boost in the margins of this year’s General Assembly when the Secretary-General and several world leaders will co-host a Summit on UN peacekeeping. For its part, UN peacekeeping is determined to be more innovative, more flexible and more cost-effective. With an annual budget of just under $8.5 billion — less than one half of one percent of global military spending — we are working to increase our value for money and using new approaches to implement our mandates more effectively and efficiently. Peacekeeping missions deliver because they represent a convergence of interests that is the fundamental concept behind the United Nations. At a moment in history where new crises and conflicts emerge constantly, the stakes for peacekeeping are higher, and the consequences of failure are dire. The people of Bentiu, like the populations protected by missions around the world, today deserve a UN peacekeeping institution that is an effective tool of international peace and security. More than ever, today, UN peacekeeping needs global support. This entry was posted in Op-ed on 05/29/2015 by Cynthia Prah.